With Santa Clara being practically in my back yard (well, an hour away, but that’s California for you), I knew that my trusty camera and I had to stop by last weekend at the Hyatt Regency, where Stitches West was taking place. 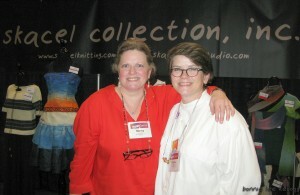 As many of you remember, Fix-A-Stitch was first announced and demonstrated at the Adela’s Yarn booth at Stitches 2011. In honor of that, I spent a few hours each day at Stitches West 2014, demonstrating Fix-A-Stitch to customers who stopped by the booth. 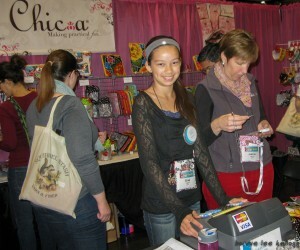 One morning when I couldn’t make it, Lily Chin did the demo for me using our lace weight Fix-A-Stitch (thanks, Lily!). The Yarnover Truck team has such an interesting concept. They bring the yarn to you, whether you’re in an area with no local yarn shop (LYS) or just want to have a “yarn tasting” party and/or knitting class with friends. It’s a shop on wheels, really. I hung out in the skacel collection booth for a while, where Marcy, left, and her sister Carma were such gracious hostesses. It’s also always special when I have time to chat with skacel’s Michelle Hunter, aka Knit Purl Hunter, maker of the most fantastic instructional online lessons for knitters. Last but not least, my good friend Joanna Reyes (far right) brought her lovely daughter, Elise, to help out at the Chic-a booth. Joanna and I have a fun announcement coming up later this spring — but for now, I’m sworn to secrecy. So there you have it. I love when a yarn show is nearby without the hassle of packing and jet lag. All that notwithstanding, though, I’m looking forward to heading east in May, to The National NeedleArts Association’s Summer Market in Indianapolis! 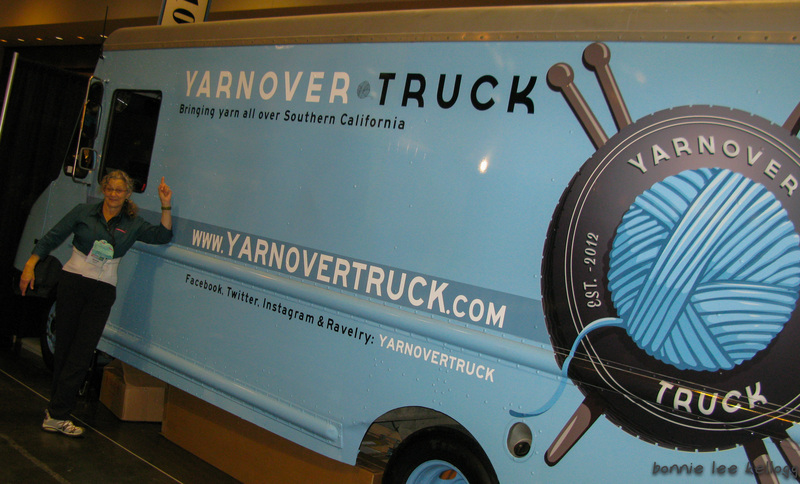 Ask your yarn store to check with us about the newest offering from Fix-A-Stitch.